We are more than glad to announce that Hotel Sigma Olomouc and the Sidia club remain open for the whole 2009. We are here for you, commited to provide you with better services that ever. All you love and are used to is waiting for you. 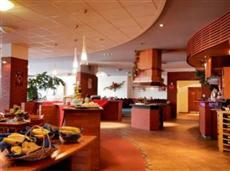 Convenient location close to the highway to Brno and Prague predestines the hotel for business travelers. Direct proximity to main railway station completes the picture of easy access to the hotel. Olomouc is not just known for its busy business rush. The city is as well famous for its architectonical heritage and hot cultural present life. Not by chance, the city is listed in the UNESCO list. A lot of those cultural event are taking place in the conference part of the hotel, definitely not by chance as well.